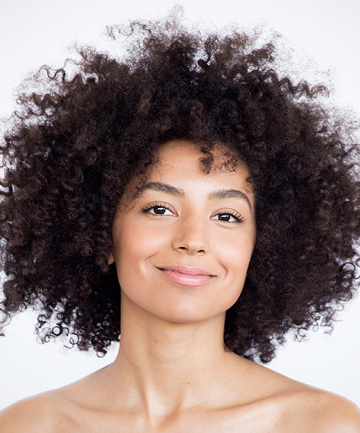 Everyone deals with frizz on some level, but not all frizz is created equal -- and neither are the products used to treat it. For instance, serums that keep coarse curls defined and smooth all day weigh down fine hair and make it look greasy in a matter of minutes. While we tend to associate out-of-control, frizzy hair with summertime humidity, the truth is that frizzy hair can strike no matter what the forecast. The culprit? Dryness (from too much heat styling or lack of conditioning) or damage. Over-coloring can leave the hair shaft lifted and frayed, which gives it a frizzy appearance. Fortunately, frizz is avoidable. To get rid of frizzy hair, all you have to do is identify your hair type and team up with the treatment and styling products ahead.